It’s winter in NY and PA — cold and icy and snowy, definitely not bicycle season — so it’s a good time to head to your garage, get your bike out, and complete a safety check. We will get our first taste of spring soon, I hope, so be ready. If you have a quick-release seat or front wheel, that’s a good place to start your winter inspection. I will focus on that today because failure, of either the front wheel or the seat, can lead to very serious injuries and destroy your bike. Please watch the instructional video above by Global Cycling Network. It’s a great primer for new and future quick-release users. So you and your buddy installed quick-release seats and wheels last fall, and had a few safe rides? You think you have nothing to worry about, right? 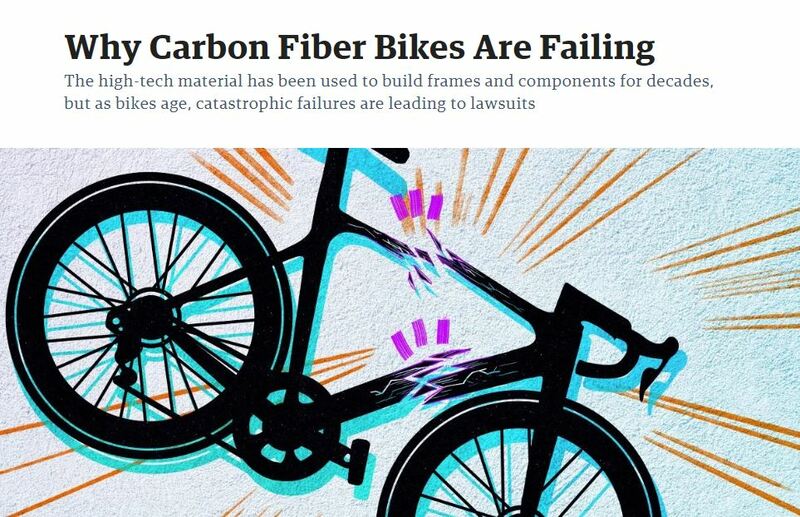 I hope so, but … I have handled a few bike crash cases caused by quick-release failures. As you might imagine, if the quick-release fails and your wheel suddenly separates from the bike, injuries can be catastrophic. 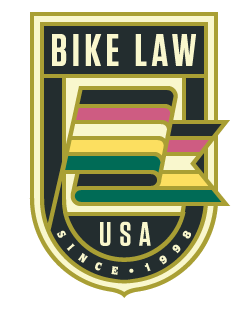 Contact an experienced bike crash lawyer who can then investigate the details of the crash and determine the cause of the failure. 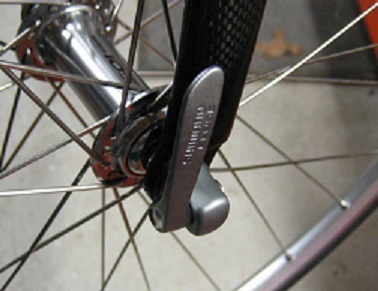 I would recommend you take your bike to a local bike shop this winter and have them inspect your quick-release levers. Also be sure they observe how you remove and return your wheel and/or your seat. They might have safety suggestions after observing your methods that will save you thousands in medical costs. Losing a front wheel while riding could send you head-first toward the pavement, so be as prepared as you possibly can before spring arrives. This entry was posted in Bicycle Accident Cases in Court, Bicycle accident lawsuits, Bicycle Accidents, Bicycle Collisions, Bicycle Safety, Bike accident lawsuits, Bike accidents, Bike manufacturers, Cool Stuff for Bicyclists, Risks for Bicycle Riders, Uncategorized and tagged accident attorney, accident lawyer, Bicycle, bicycle accident, bicycle accident attorney, bicycle risks, Bicycle Safety, bike accident, Cycling, Elmira, Elmira New York, Injury, James B. Reed, Jim Reed, New York, New York bicycle accident lawyer, ny bicycle accident, ny bicycle accident lawyer, ny bicycle cases, pa bicycle accident, pa bicycle accident lawyer, pa bicycle law, Twin Tiers, Ziff Law Firm on January 18, 2018 by Jim Reed. 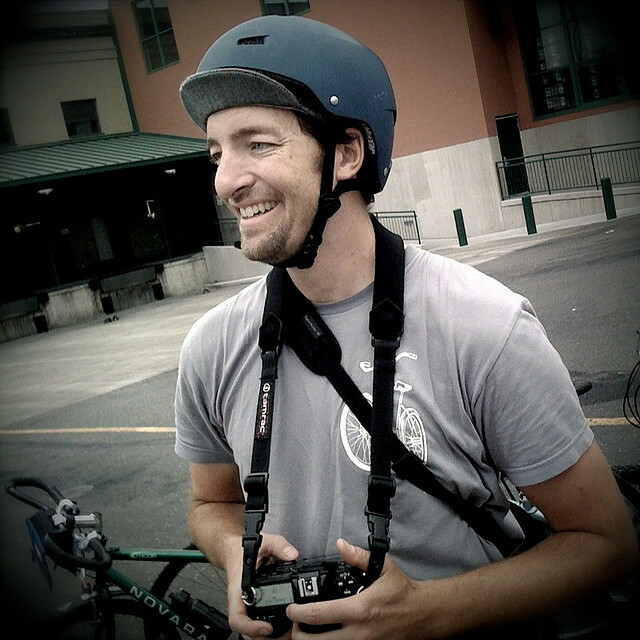 Jonathan Maus, the publisher and editor-in-chief of BikePortland.org, had a great recent post about a New York Court of Appeals ruling about city street design and accident liability that could be great news for bicyclists all over the country. “After years of assuming cities had blanket immunity from liability when it came to street design decisions, a recent decision by New York’s highest court has thrown that into question. The court found that the City of New York can be held partly liable for a man’s death because they knew the road encouraged speeding and unsafe driving but they failed to study and implement measures to mitigate the risk. 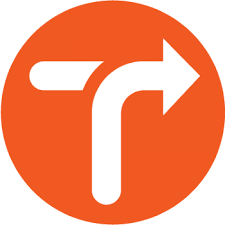 “Traffic violence is the issue for advocacy efforts and this decision opens the door to holding liable the only party who can make the changes necessary for a safer transportation environment. 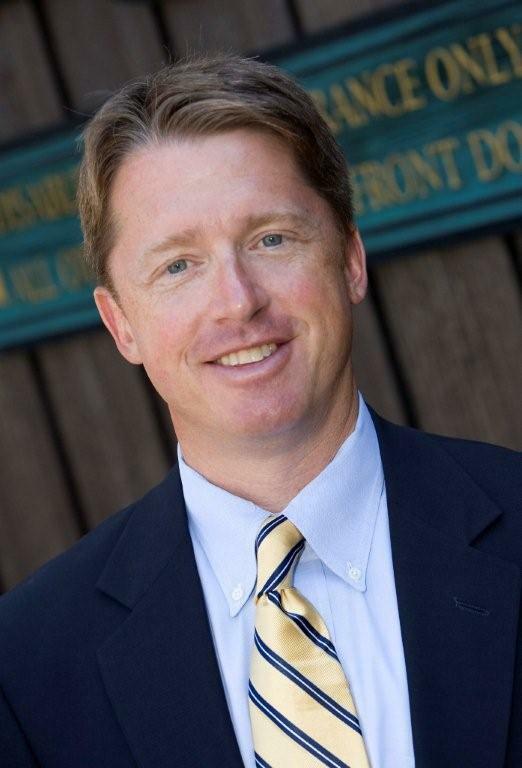 I applaud their decision as all cycling advocates should.” Bob said he thinks the ruling will lead to more lawsuits against public entities for unsafe road design which will in turn compel municipalities to make the roads safer. This entry was posted in Bicycle Accident Cases in Court, Bicycle accident lawsuits, Bicycle Accidents, Bicycle Collisions, Bicycle Laws, Bicycle Safety, Bike accident lawsuits, Bike accidents, Bike collisions, Bike manufacturers, Risks for Bicycle Riders, Uncategorized and tagged accident attorney, accident lawyer, Bicycle, bicycle accident, bicycle accident attorney, bicycle risks, bike accident, Cycling, Elmira, Elmira New York, James B. Reed, Jim Reed, Lawsuit, New York, New York bicycle accident lawyer, New York City, ny bicycle accident, ny bicycle accident lawyer, ny bicycle cases, pa bicycle accident, pa bicycle accident lawyer, pa bicycle law, Twin Tiers, Ziff Law Firm on February 16, 2017 by Jim Reed. The Bike Butterfly is one SURE way to get the attention of drivers and pedestrians. And they won't soon forget you! All bicyclists get cut off by drivers or pedestrians at times. It’s one of the biggest dangers we face on the road every time we ride. Now a British company appears to be getting ready to sell something called the Bike Butterfly, aimed at helping all of us! It looks like something the guys on Monty Python would create, but one thing is for sure — if you have to stop quickly while riding, it will get you attention. And you can be sure the driver or pedestrian will REMEMBER to look next time, so as crazy as it appears to be, it might save lives. It’s a funny contraption, yes, but there is nothing funny about getting cut off or being invisible when we are on the road. I’m serious about that, and I hope the Bike Butterfly gets us all thinking about ways to make ourselves more visible on the road. 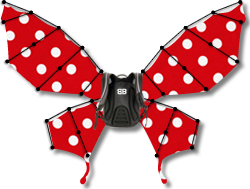 I am willing to try almost anything to be more visible to drivers and pedestrians — perhaps even a Bike Butterfly. What about my fellow bicyclists in Elmira, Corning and the Twin Tiers? Have you come up with your own unique way of getting the attention of distracted drivers and pedestrians? This entry was posted in Bicycle Accidents, Bicycle Collisions, Bicycle Safety, Bike accidents, Bike Butterfly, Bike collisions, Bike manufacturers, Cool Stuff for Bicyclists, Risks for Bicycle Riders, Uncategorized and tagged accident attorney, accident lawyer, Bicycle, bicycle accident, bicycle risks, Bicycle Safety, bike accident, James B. Reed, Jim Reed, ny bicycle accident lawyer, ny bicycle cases, pa bicycle accident lawyer, pa bicycle law, Ziff Law Firm on April 1, 2012 by Jim Reed. Bicycle commuting can be a HUGE money-saver! So you’re sick of spending all your money on gas, car maintenance and parking? And you wish you had a chance to burn a few more calories? Perfect solution: commute by bike to work! Kiplinger has a calculator to show how much you could save each day by riding your bike to work. As a test, I said my daily commute is 20 miles round trip. I said I don’t have any parking or toll expenses. They said I can save $8 a day– that’s a whopping $2,000 a year! And the commuting calculator even tells you how they calculated the amount they show. Try it — you might be surprised what you find. Fall is here and winter is coming (sadly). Unpredictable weather. Wet leaves followed by snowy roads in Elmira, Corning and the Twin Tiers are a huge hazards for bicyclists. And we are seeing less daylight, so our safe riding hours are shrinking. Yes, you can get a light for your bike, but you will still be mostly invisible to drivers and you won’t be able to see the road hazards like potholes with just a bike light. Do you wear your work clothes, maybe a suit, on a bike commute, or carry your work clothes and change in the bathroom? It’s not a deal breaker, but consider that a complication each day. And if you arrive to work sweaty, can you take a shower? Know your commute path well. Are bicycles allowed on all the streets and roads? Will you feel safe riding with traffic if there are no shoulders or the shoulders are filled with glass and other debris? Know your road conditions very well. Again, DO YOUR HOMEWORK. Your best bet is to become a part-time bike commuter. Once you do your homework (yes, I said it again), pick a few sunny and warm days and try it. Don’t put your car up on blocks just yet! Realize that in the Twin Tiers, bicycle commuting will likely always be part time, thanks in part to our two seasons — road construction and winter! As Kiplinger points out in another story, there are many benefits to bicycling to work. Among them: it’s a good workout, you’ll save money, it’s better for the economy and it cuts down on the parking hassle. Lights for early-morning or nighttime riding. Get a white LED front light to attach to your handlebars so you’ll stay visible when approaching intersections, and buy a red, blinking light to attach to your seat post or clip onto your back so approaching drivers will see you from behind. A rack or panniers, either of which can attach to the back of your bike, to carry files, a change of clothes or other personal items. A small messenger bag or backpack might suffice but can strain your back. Most mountain bikes or hybrids easily accommodate a rack or panniers. Shoes with clips, which will give you more control and power during a rush-hour ride. A fender to keep water from splashing onto you from your rear tire. A cycling computer to track your speed and trip length. Just remember: Do the math. Pick a go0d day and ride to work (once you do your homework and planning). If you like it, and want to work bike commuting into your schedule, then by all means let Santa know what you want. Just be sure Santa knows you want to be SAFE! If you are a bike commuter, please share your tips or favorite stories in our comments section! This entry was posted in Bicycle Collisions, Bicycle commuters, Bicycle commuting, Bicycle Laws, Bicycle Safety, Bike manufacturers, Leaves in roadways, Risks for Bicycle Riders, Uncategorized and tagged accident attorney, accident lawyer, Bicycle, bicycle accident attorney, bicycle risks, Bicycle Safety, bike accident, Elmira New York, James B. Reed, Jim Reed, ny bicycle cases, pa bicycle accident lawyer, pa bicycle law, Ziff Law Firm on November 21, 2011 by Jim Reed. Be sure to do your homework after being injured in a bicycle accident. 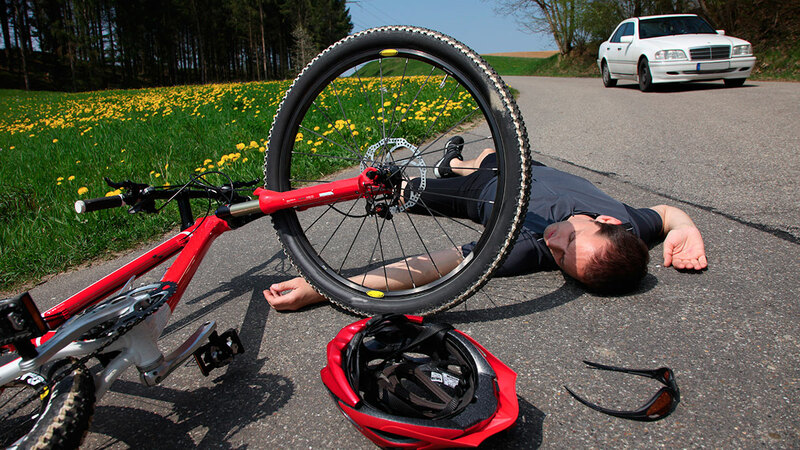 I recently received an email from a person who was involved in a serious bicycle accident. His frame snapped in half and he suffered some severe injuries – he needed stitches in his forehead and an elbow and is waiting to see a specialist about a knee injury. He is walking with one or two canes as he awaits his appointment to see an orthopedist. Because the frame snapped at a weld, the man blamed the manufacturer, believing that the frame’s limited thickness led to the failure of the frame. I told the injured man that in a product liability lawsuit, WE would have the burden of PROVING that the bike accident was caused by a defect in the bicycle. That would involve bringing in experts, and it is often expensive to retain one or more. Because of the cost, it only makes sense to pursue cases where there is a reasonable prospect of a substantial jury verdict. Accordingly, I must be very careful to only accept those cases where my potential client has suffered severe, permanently disabling injuries. As a practical matter, this means I must sadly decline those cases where the cyclist has suffered less severe injuries that are likely to completely resolve in a matter of weeks or months. Very often, we need to wait to see how a client’s injuries are going to resolve before making any final decision to accept or decline a case. It is always our hope that an injured person will quickly recover, as I would much rather have someone have a good, healthy body than a good lawsuit. Based upon your injuries as described in your email, it is simply too early to tell if your injuries will be severe enough to justify the considerable costs of a product liability action. Although I certainly don’t mean to minimize the injuries you suffered, it sounds like they may successfully resolve without permanent limitations – at least that is my sincere hope for you. But after more than 25 years representing the injured, I have learned that none of us has a crystal ball to accurately predict the future so I think it is important that we take the steps necessary to preserve important evidence in your case in the event that it DOES turn out that your injuries are severe enough to warrant pursing a product liability lawsuit. 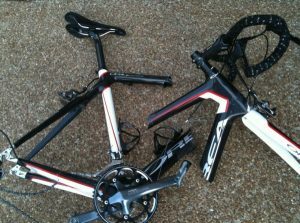 PRESERVE THE BIKE IN ITS CURRENT CONDITION: Under no circumstances should you repair, modify or otherwise alter the bike. 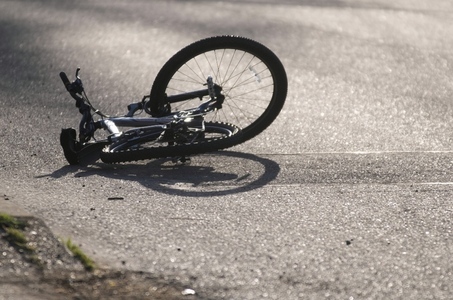 Failure to preserve the bike and its components exactly as they were at the time of your accident could be fatal to your ability to pursue any sort of claim. DO NOT SEND THE BIKE BACK TO THE MANUFACTURER: Sad to say, the manufacturer is generally very eager to get a defective bike back into its control and out of your hands. Very often they do this under the guise of “warranty inspection,” but regardless of what they call it, if you have any thought of pursuing a product liability lawsuit, do NOT give up possession of the bike. If the manufacturer wants to inspect the bike, let them come to your house to do it and make sure that any inspection involves absolutely no alteration of the bike. TAKE YOUR OWN PHOTOS OF THE BIKE: Like they say, a picture is worth a thousand words, so take LOTS of good, digital photos of the bike and its components. If necessary, borrow a decent digital camera but make sure you have good, focused photos (both close-up and farther away) of the bike and any defective components. TAKE PHOTOS OF THE SCENE OF YOUR BIKE CRASH: Again, these photos can be very useful so make sure to take lots of good photos (both close-ups and farther away) of the accident scene. If there is physical evidence at the scene (i.e., a skid mark, gouges in the pavement, broken reflectors, etc. ), get good photos. If possible to do so safely, include a ruler or yardstick showing the actual dimensions of any physical evidence. TAKE PHOTOS OF YOUR INJURIES: It is important to document as comprehensively as possible,ALLof your injuries. So take photos ofALLinjuries – bruises, scrapes, road rash, stitches, casts, etc. Also, take continuing photos as your injuries progress. And record the date that all photos were taken so you will be capable of accurately describing the date each photo was taken. MAKE SURE TO KEEP ALL PAPERWORK: Get together a folder of all paperwork regarding your bike: the sales invoice, and any correspondence with the manufacturer or their insurance carrier. MAKE SURE TO KEEP A LOG/DIARY OF ALL MEDICAL TREATMENT: Keep a folder/notebook where you can easily track all medical treatment. I hope this background information and recommendations assist you while you wait to see if your injuries successfully resolve or not. My own rule of thumb is that I want to make sure someone is symptom-free for at least 3-4 months before making a decision as to how to proceed. If you are still suffering symptoms after 3-4 months, you should have a consultation with an experienced bicycle accident lawyer. I offer such consultations for free and do them in person, over the phone, via Skype or by email depending on what is most convenient to the client. If all is well for 3-4 months, then I feel comfortable saying to go ahead and see if things can be worked out amicably with the manufacturer on your own. Sometimes that involves a new bike, payment of the medical bills and lost wages, and occasionally some compensation for your pain and suffering. The manufacturer will usually require you to sign a Release, which is a document that basically says you are giving up any and all claims you may have against the manufacturer in exchange for the money they are paying you. NEVER sign a Release unless you are absolutely, positively sure that you are satisfied with the settlement offer because once you sign that Release, you are done FOREVER. If in doubt, do NOT sign …. That was my counsel to the bicyclist. I hope you never suffer an injury while riding, but if you do, keep my advice in mind! Thanks for reading and remember to ride safely! This entry was posted in Bicycle Accident Cases in Court, Bicycle accident lawsuits, Bicycle Accidents, Bicycle Safety, Bike accident lawsuits, Bike accidents, Bike collisions, Bike manufacturers, Risks for Bicycle Riders, Uncategorized and tagged accident lawyer, Bicycle, bicycle accident attorney, bicycle risks, Bicycle Safety, bike accident, Cycling, Elmira New York, James B. Reed, Jim Reed, New York bicycle accident lawyer, pa bicycle accident lawyer, pa bicycle law, Ziff Law Firm on September 20, 2011 by Jim Reed.